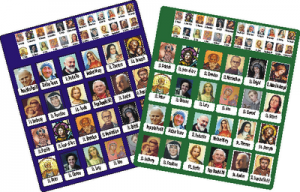 how can i get this 2 sheets of guess who saints sheet would like to get them for m catechism class please let me know. Go to http://www.equippingcatholicfamilies.com/2011/02/guess-who-of-saints.html and click add-to-cart. It is a free checkout and they should email it to you!